Over the past six months, I’ve been working with people at NCSA (National Center for Supercomputing Applications) and Thomas Lucas Productions to produce a 2-minute segment for their upcoming planetarium show, Solar Superstorms. 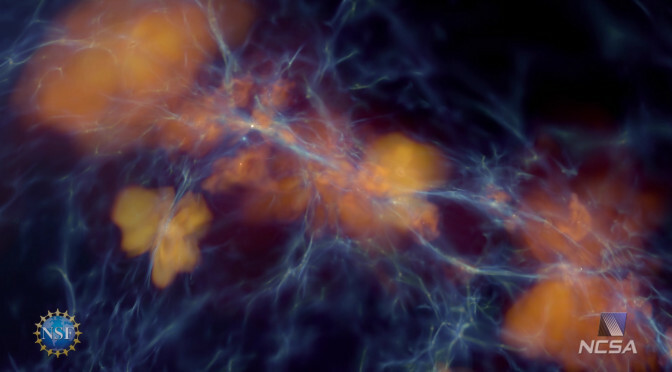 They visualized one of my simulations of the first galaxies and another of a supernova from a first star with yt. You can view the segment (third one in the playlist) on their website. It was narrated by Benedict Cumberbatch! I never would’ve thought that I’d hear his voice speaking about my work. 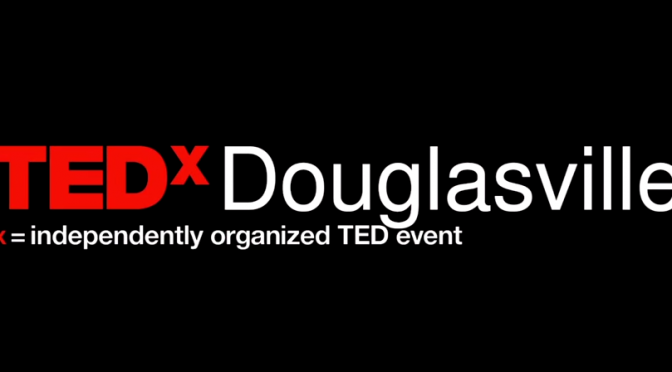 Earlier this year, I was privileged enough to be chosen to give a TEDx talk at Douglasville, just to the west of Atlanta. There I spoke about how we and others model galaxies on supercomputers, understanding the formation and evolution of galaxies that we observe with some of the best telescopes on Earth and in space. (abs, pdf) Pallottini et al., The Brightest Ly$\alpha$ Emitter: Pop III or Black Hole? (abs, pdf) Clark & Glover, Does the CO-to-H2 conversion factor depend on the star formation rate? (abs, pdf) Matsumoto et al., Direct Collapse Black Holes Can Launch Gamma-Ray Bursts and Get Fat to Supermassive Black Holes?